Did you know that 80% of children will never step foot inside a local church? Well what we do at Child Evangelism Fellowship® is take the church to the children. In fact last ministry year 1,699 children received a face to face Gospel Presentation in our local area and 493 of those children chose to received Jesus as their Saviour. But we cannot stop there. There is around 60,000 children in our area and 48,000 of those children will never have an opportunity to go to church. Do you believe it is vitally important to share The Life Saving Gospel with these unchurched children? If so, you can partner together with us by committing to The Life Saving Gospel Plan. Our goal to reach the 60,000 children in our area is to increase our ministry outreaches by 20% every year. To do this, we will need your help. We will need to increase our finances by $20,000 next year to reach our goal. We need 80 individuals to commit to giving $250 next year. If you are a New Partner you can commit to The Life Saving Gospel Plan for just $21.00 per month. If you are a Current Partner you can increase your current giving by $21.00 every month and be committed to The Life Saving Gospel Plan. You can subscribe to give monthly by choosing one of the following options. • I am a CURRENT Partner. I want to commit to The Life Saving Gospel Plan by increasing my current giving by $250 this next year. • I am a NEW Partner. 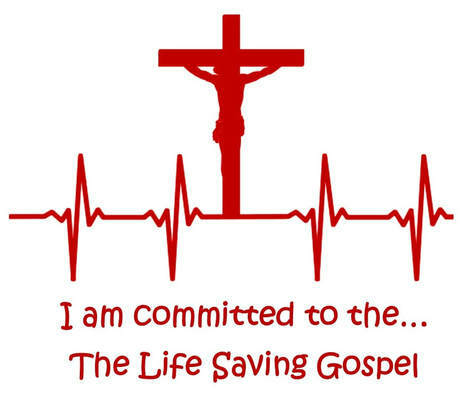 I want to commit to The Life Saving Gospel Plan at $500 per year or $42.00 per month. • I am a NEW Partner. I want to commit to The Life Saving Gospel Plan at $1,000 per year or $84.00 per month. You may start your partnership today by giving a one time donation of your choice below. You may also send in your Life Saving Gospel Plan commitment by mail.